Ever tried to juggle multiple tasks in a day? Were you successful? Or did you succeed in only appearing busy, but not actually completing anything? Did you know that only 2% of people can multitask? Yep, as much as we think we make great multitaskers, science proves that only 2% of us have the natural ability to do this. Those who can are known as “supertaskers”, a term invented by David Strayer, a professor of psychology at the University of Utah. When most of us would struggle to complete tasks simultaneously, supertaskers thrive in these conditions. They perform better when given multiple tasks to do. How do you know if you’re a supertasker? Two university students developed a test to assess this cognitive ability. 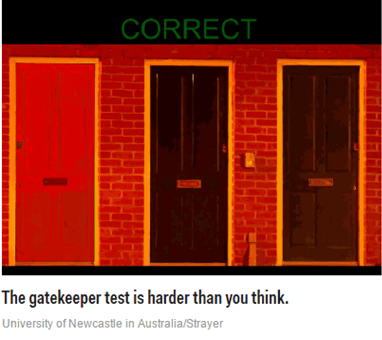 This test called the Gatekeeper allows people to examine whether they are supertaskers. Funny enough, those who believe that they can multitask, are usually those who fail the test. The test can take a while and therefore we recommend that you schedule ample time to complete it. There are 20 rounds which last for 90 seconds each. You can take a break between these rounds. I failed the test, now what? Failing the test only means that you’re not a supertasker, not that you can’t handle certain tasks. Since 98% of us are not multitaskers, this is nothing to worry about. What you can do is find a solution to avoid juggling too many tasks at a time. One sure way to do this is by hiring a Virtual Assistant. Simply put, a Virtual Assistant or VA is someone who will work for you remotely, completing tasks that you’re not able to complete at any given point in time. These employees work by the hour and are paid an hourly rate. They don’t require any benefits such a pension, medical or office supplies. They’re flexible. This means that you can call or email your VA at any time (depending on your agreement of course), to schedule, receive or discuss work. Furthermore, VA’s are highly skilled individuals. Most of them have long-standing careers in their respective fields. They take the step into virtual work to gain a work-life balance or to take charge of their income. What tasks can a VA do for you? Sending of Greetings Cards / Birthday Messages / Event Invitations etc. Besides this, a VA can do any task related to their skills and expertise. Need a VA? Contact us!